Bring the battle from the deep, anywhere you go! 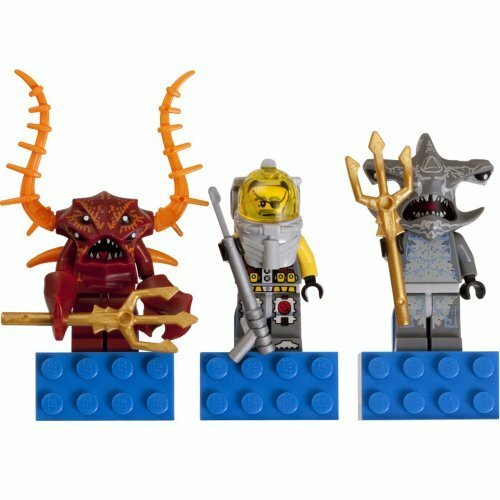 Host an epic undersea battle on any metal surface! Protect the contents of your fridge with all the most ferocious jaws within the deep blue sea! 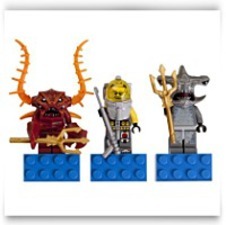 Decorate your fridge or locker with 3 authentic LEGO Atlantis minifigures: Lobster Guardian Hammer Head Guardian and Captain Ace Speedman, each on a sturdy LEGO brick magnet!